They are all installed now, the last three took one hour (wiring was already in). They worked while the board was clamped to the Workmate. Then when back on the supports and connected to the layout, the rear, hardest one to reach on that board (it has to be that one!) would not reliably stay in position, not a motor fault but my linkage and micro switch (no slack on these leads either! ), 2 #**#! hours later it was working. Murphy's law strikes again! The other rearmost one, even harder to reach, which drives through one of the bridge girders, the turnout is on the bridge, is a bit slow so I may have to redo that one. The rest are Ok after several hours of operating. Cloudy weather may not be good for going out in but it does give some interesting lighting on my layout. Last edited by Mike_R on Sat Mar 03, 2018 9:40 pm, edited 1 time in total. Unfortunately they are no longer made, typical, you find a source of reasonably priced switch motors and they stop producing them a few months later. I may try servos for future layouts. Until the Conrads I used Fulgurex, between Conrad and Tortoise for price, but a bit noisy. They have proved reliable and have good auxiliary switches and can move both turnouts in a crossover with one motor. Interesting set of products, the bounce would look good on crossing gates. If you use semaphores, well, watch the video! Many thanks for the heads up on the Megapoints and Tower Hobbies which servos are you using? After a long time another building finished. 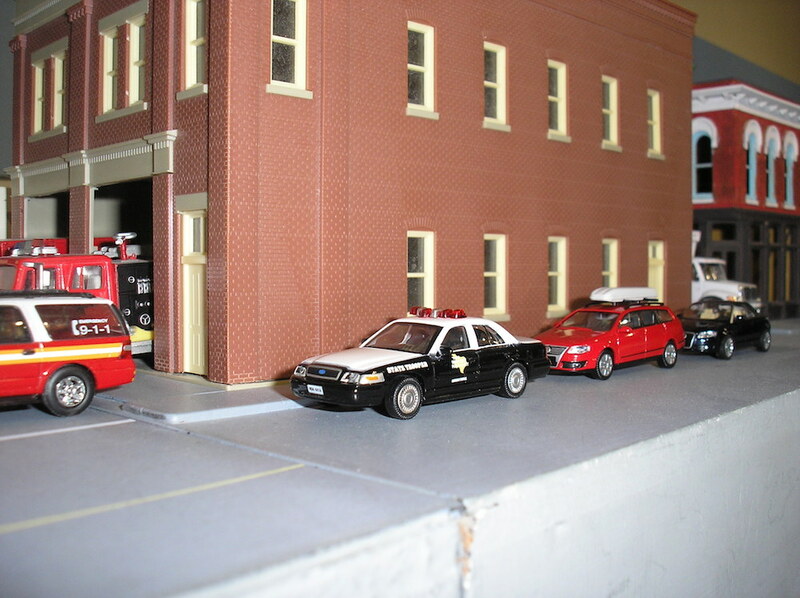 For years my fire station was as bought a Walthers ready built. I have painted the exterior, detailed the interior and added lighting. 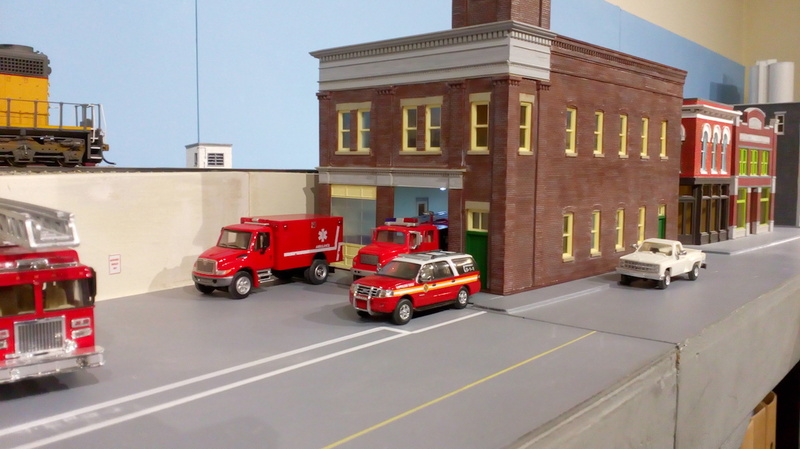 Now I am taking 11th Avenue to Devon Freemo I thought it was about time I built the depot, I bought the Walthers Union Station kit about 15 years ago! 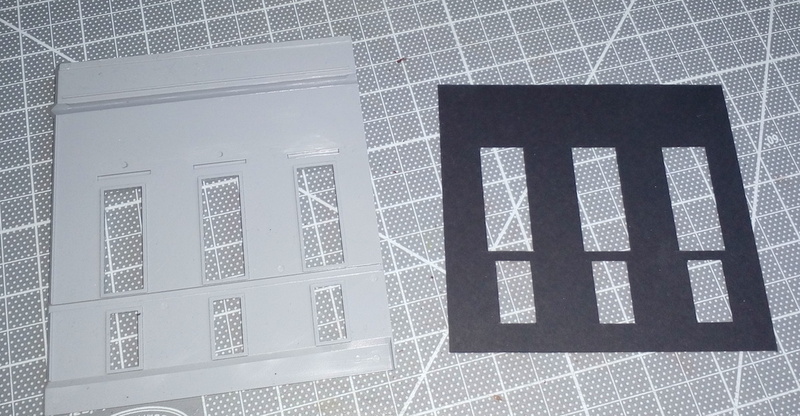 but so far there have only been paper stand ins on the layout. 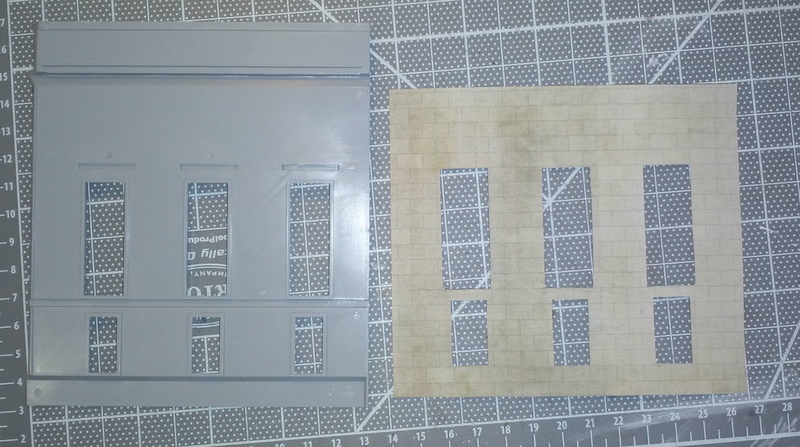 If you have seen my previous buildings you will know I like to detail the insides and this one with all the windows and skylights has to be done. I make interior wall liners from black card, to stop any light escaping, of course the interior needs to be lit! I then stick texture paper to the liner, in this case Scalescenes dressed stone. I leave the paper over size so I can overlap the corners when the walls go together. The liner will not be stuck to the wall until the exterior has been painted. 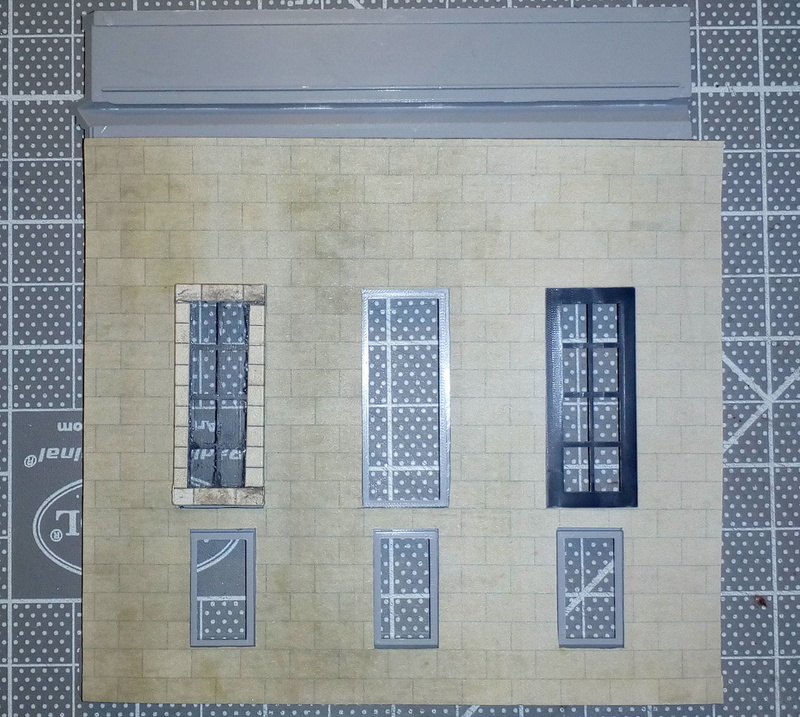 To make the interior of the windows look better I used the coping strips from the Scalescenes sheets to cover the edges after I had attached the glazing. The liner covered with the dressed stone paper. An original window on the right and covered on the left, 43 more windows to go!